That’s a mouthful isn’t it? 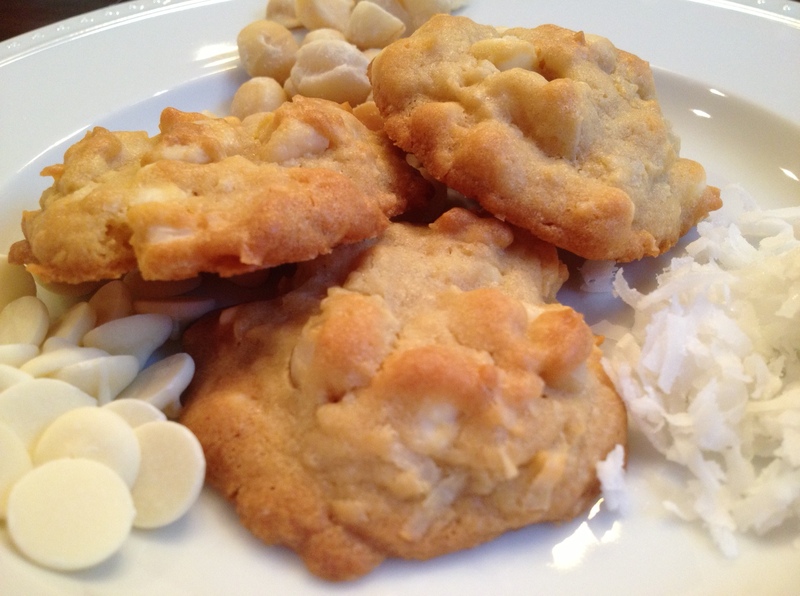 White chocolate macadamia and coconut cookies. Personally, I prefer to call these “Deserted Island” cookies – because if I was stranded on a deserted island and had coconut and macadamia nuts coming out of my ears (and also happened to have a lifetime supply of white chocolate on my hands) – these are the cookies I would make. I’d probably have to reach back into the deep part of the brain where I’ve stored my girl scout memories to figure out how to bake them over a campfire or some sort of cardboard stove…but I would find a way to make them! This particular recipe uses instant coconut pudding as the secret ingredient (it must be instant pudding mix…not the cook and serve mix). 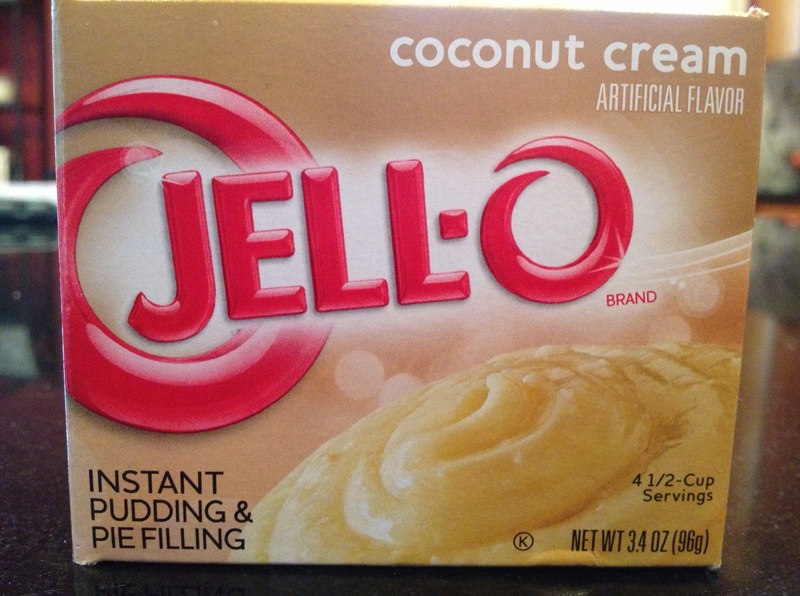 If you have a problem finding it, you could substitute instant banana pudding mix. I’ll be trying that out on the next round – and there will be a next round THIS WEEK because these were a hit with the family and my co-workers. In less than 18 hours, the entire batch is gone. This is a great cookie for all of us daydreaming about spring and more tropical weather. Even down here in the south, it’s still a bit too chilly for our liking this time of year. Bake these up, put on your sunglasses and bask in the warmth of the sun (or your oven). There’s a lot of coconut jammed into these cookies – but if you want even more coconut flavor, you could try using coconut M&Ms. I’ve seen them at Target alongside the other seasonal candies, including spring-colored white chocolate M&M’s – which you could use instead of the white chocolate chips for an Easter-themed treat. Combine the flour and baking soda and set aside. In a large bowl, cream together the butter and sugars. Beat in the instant pudding mix until blended. Stir in the eggs and vanilla. Stir in the white chocolate chips, coconut and macadamia nuts. If you have time, chill the dough for a few hours (and up to overnight) before scooping. Using rounded spoonfuls, place the dough balls onto cookie sheets that are lined with parchment paper or a silpat liner. Bake 10-12 minutes until edges are golden brown. They may still look a little under-done. That’s okay, they’ll keep cooking on the tray as they cool. Once they are comfortable to touch, transfer to a cooling rack.